"Every chapter, told as a story of practice and reflection in a different context, adds valuable perspective." "Educators (or education students) interested in exploring the possibilities or struggles of doing participatory education with adults will find this to be an indispensable collection of essays to read and reread….Participatory Practices in Adult Education successfully covers important ground and makes a significant and more detailed contribution to the current writings available on adult participatory education." "…almost all of the authors not only ask many of the hard questions that society only glances over, they provide some keys to answers. Readers will be offered pedagogical models and practical information in the pages from real-life situations…the book offers opportunities for reflection for new avenues in participatory practices." "The various chapters are well organized and well written. The authors represent a variety of practitioners with assorted expertise. The realism makes the stories not only interesting, but also the life lessons are evident. This makes for more powerful analysis that is not based solely on theory….Participatory Practices in Adult Education is a recommended read." 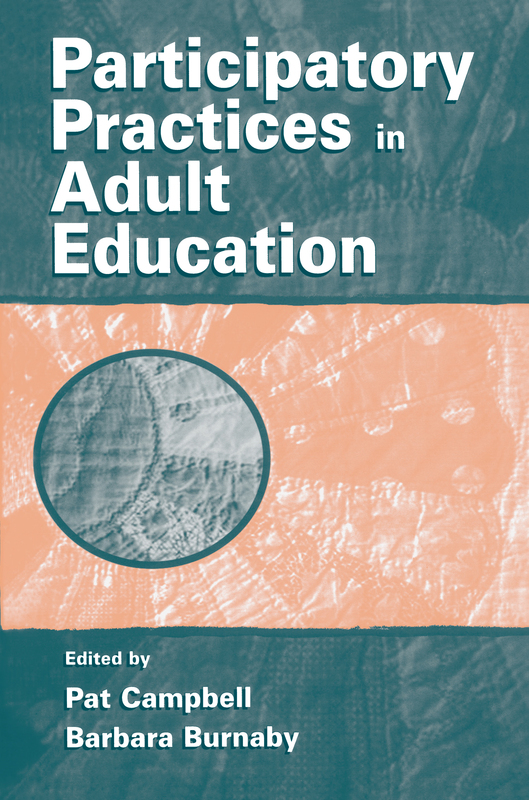 "Participatory Prctices in Adult Education is a useful resource for any educator, not just adult educators interested in participatory practices….As the editors promise in the opening line of the preface, 'This book is a celebration and sharing of experience, new knowledge, lessons learned, and reflections from the practice of participatory adult education' (p.vii). The text delivers on that promise." "A strong contribution to the field of education in general, and participatory education in particular. The real strength of this book is in its concreteness, its particularity….It is also important that strong introductory and concluding pieces set the individual cases in the context of current theory….It is unique, in a field that I believe will only grow more prominent and attract more interest; it tells compelling stories; it is grounded in the literature of the field; it is well organized and well written." "Inclusive and clearly stated definition of participatory education….impressive scope of learning/teaching venues….I would love to require this book in several of my courses (e.g., ESL/literacy teacher training, 'Freire's Pedagogy in Practice,' various community studies courses, training for faculty incorporating service-learning in their own courses)….Thank you, thank you, thank you for the opportunity to reconnect with the people in this book….Many things to think about, and a fine feeling of companions along the road." Contents: Preface. P. Campbell, Introduction. Part I: Reflections on Foundations. V.L. Sauvé, A Personal Journey Into Participatory Education. Part II: Adult Basic Education, ESL, and Literacy. D. Barndt, Naming, Making, and Connecting--Reclaiming Lost Arts: The Pedagogical Possibilities of Photo-Story Production. P. Campbell, Participatory Literacy Practices: Exploring Pedagogy. J. Horsman, "Why Would They Listen to Me?" Reflections on Learner Leadership Activities. M. Norton, Getting Our Own Education: Peer Tutoring and Participatory Education in an Adult Literacy Centre. Part III: Community. S.M. Scott, M. Schmitt-Boshnick, Power and Program Planning in a Community-Based Context. J. Zacharakis-Jutz, Strategic Planning in Rural Town Meetings: Issues Related to Citizen Participation and Democratic Decision Making. Part IV: Workplace. M.E. Belfiore, S. Folinsbee, A Collaborative Committee Process in the Workplace. A. Nash, Participatory Workplace Education: Resisting Fear-Driven Models. G. Pharness, From Where We Live, How Far Can We See? Part V: Institutions. E.B. de Avila, T. Caron, P.A. Flanagan, D. Frer, T. Heaney, N. Hyland, S. Kerstein, C. Kowalski, E. Rinaldi, Learning Democracy/Democratizing Learning: Participatory Graduate Education. H.S. Davidson, Possibilities for Participatory Education Through Prisoners' Own Educational Practices. Part VI: Reflections on Practice. E. Auerbach, "Yes, but…": Problematizing Participatory ESL Pedagogy. B. Burnaby, The Many Faces of Participatory Adult Education.